The systems and methods described in the patent show that Lyft wants an interactive experience for its passengers that responds to real-world stimuli. 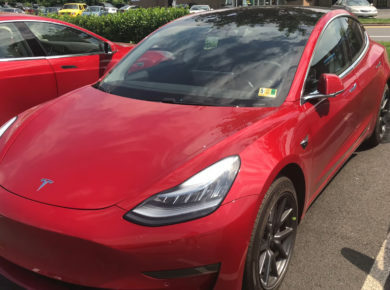 For example, when the passengers experience a bump on the road or acceleration force the VR headset will integrate that data into the experience. Lyft wants the ride to be “responsive.” The company says that, over time, the VR system would be able to predict those bumps and turns in the road. Keeping these points in mind, the VR system would provide users with a virtual experience that will be mapped according to real-world physical interactions. For example, if the car was accelerating quickly, the passengers could be shown “hyperspeed” visuals just like in Star Wars (we hope!). According to the patent, the headset will integrate objects, bumps, turns, and other turbulence into the VR experience, making them think the headset is what’s causing the rough ride. Presumably, this would help ease any anxiety or even car sickness. The idea of simulated bumps and turns might sound scary to commuters, but Lyft’s point of view is different. Lyft wants to provides its users with a unique and highly memorable experience. Other ideas of virtual experiences – which sounds much less scary and way more fun – include a game with lasers and flying saucers. Lyft envisions passengers being able to share their VR experience with other users as well, either those who are traveling with them or waiting for their ride to arrive. This technology will be made possible by Lyft’s acquisition of the AR startup Blue Vision Labs in 2018. The London based startup has created a way to process street images and utilize these images to create collaborative, interactive augmented reality layers, all using basic smartphone cameras. Blue Vision has created a sophisticated system that not only provides street-level mapping but interactive augmented reality as well. This interactive AR technology will let two users experience the same virtual scenery. Blue Vision already allows third-party developers to work on their technology to design collaborative AR experiences. Lyft’s second patent is geared towards providing information to passengers via augmented reality. This is geared more towards the practical aspect of augmented reality rather than providing a fun experience. 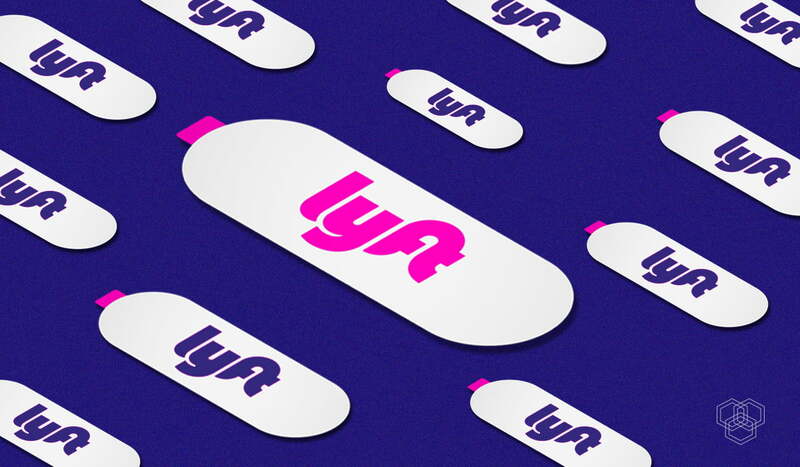 Lyft mentioned that the technology would enable the company to create virtual objects to overlay on a passenger’s real-world route to help in finding a better “less bumpy” route, for example. This could enhance the ride experience for users and improve the pick-up and drop off experience as well. Lyft will utilize historical data collected by Lyft cabs over time to identify the ideal pickup location. Using this latest technology Lyft will recommend the ideal pickup location based on the passenger’s current location, traffic conditions, and transportation restrictions etc. It will be interesting to hear more from Lyft about these patents now that they’ve been uncovered. We are all eagerly waiting for an official statement from the ride-sharing company. Tech Enthusiast and motivational tech writer advocating for fair tech policies and covering all news related to the mobile industry and more.